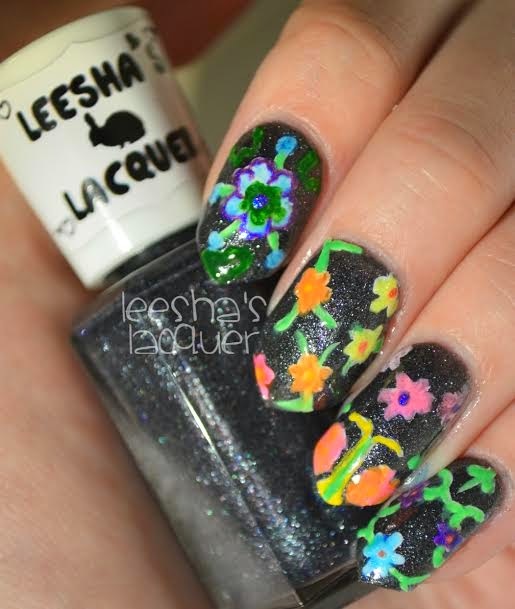 Hello lovely readers, Leesha's Lacquer here, but you can call me leesh leesh, or leesha, or hey, whatever tickles your fancy. The wonderful Babi has allowed me to guest post while she's away (and hopefully having tons of fun!) I'm super excited to show you what I have, since this is my very first guest post so let's get right in to it! I decided to do something fun and colorful and something I've never tried before. I've been thinking about doing something like this for some time now. This design is something near and dear to me and is modeled after the beautiful, ornate flower art that my Ojibwe culture creates. I found a lovely Pinterest board here (http://www.pinterest.com/economiss/art-ojibwe-floral-and-similar/) that shows off tons of beautiful floral beadwork. 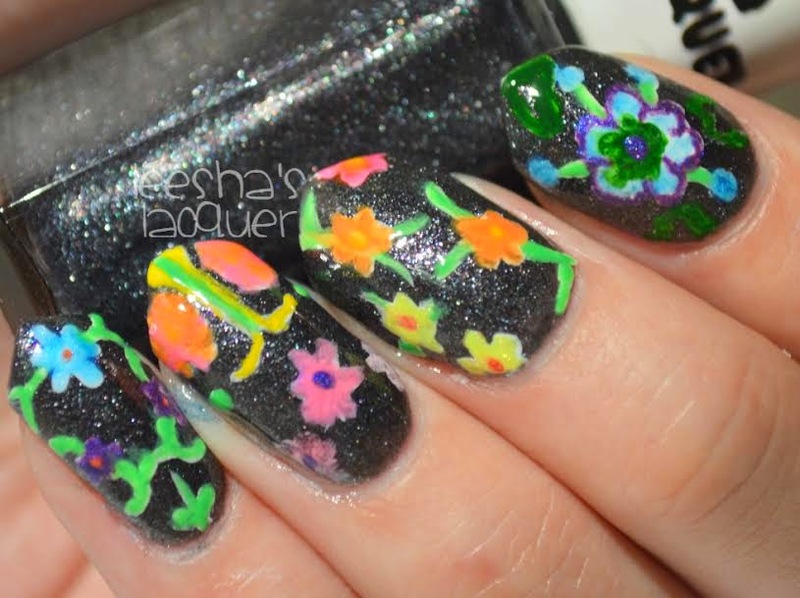 I used my own nail polish, Leesha's Lacquer in Steel Mist as a base and migi nail art pens for the floral designs. I didn't plan the designs out, just creating what came to me as I went along. I think it turned out pretty decent, eh?